Area code 819 was put into service. Area code 819 was created from a split of area code 514. In 1997 area code 819 was split to form part of area code 867. Area code 873 was put into service as an overlay of area code 819 on 09/15/2012. Mandatory 10 digit dialing is required. Ten digit dialing (area code + seven digit number) is necessary in the 819/873 overlay because two different homes in the same geographic area can have the same seven digit phone number but each would have a different area code. 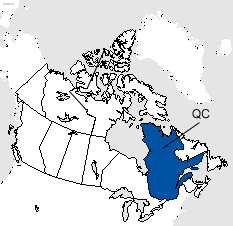 Area codes 819 and 873 cover portions of central and western Quebec including the communities of Drummondville, Gatineau, Magog, Rouyn-Noranda, Shawinigan, Sherbrooke, Trois-Rivières, Val-d'Or, and Victoriaville in addition to many smaller communities within within the area codes 819 and 873 overlay service area.